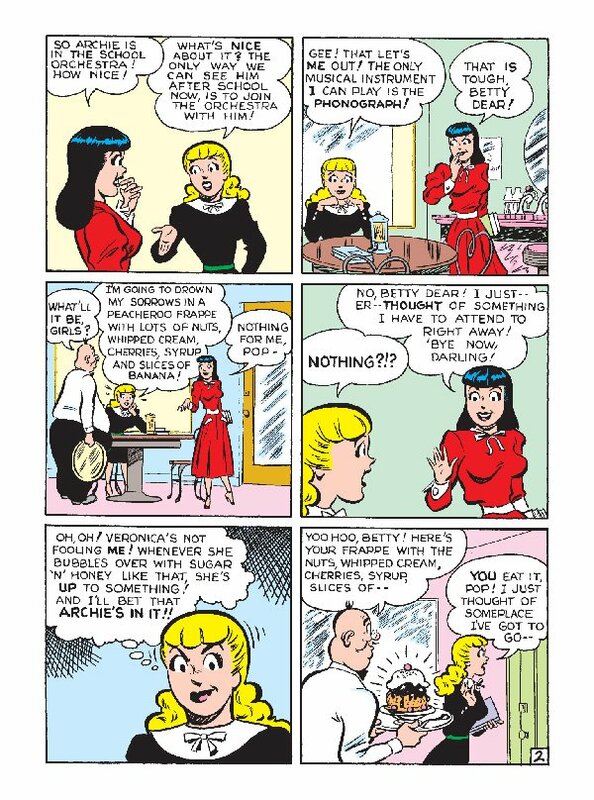 Betty & Veronica Jumbo Comics Digest #223 promises that Archie will have to make a very serious decision: who to take to prom. 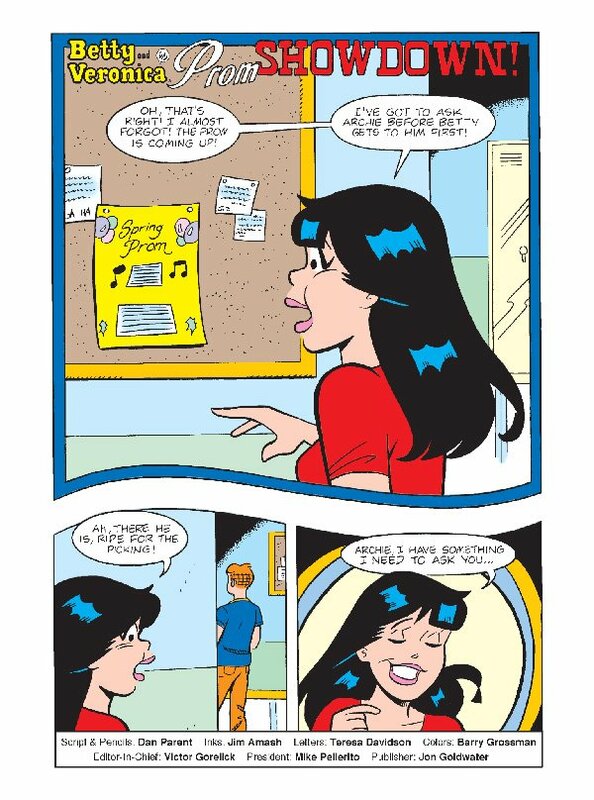 I guess that would be pretty important, if in seventy three years of being a character, you were just hitting prom now! 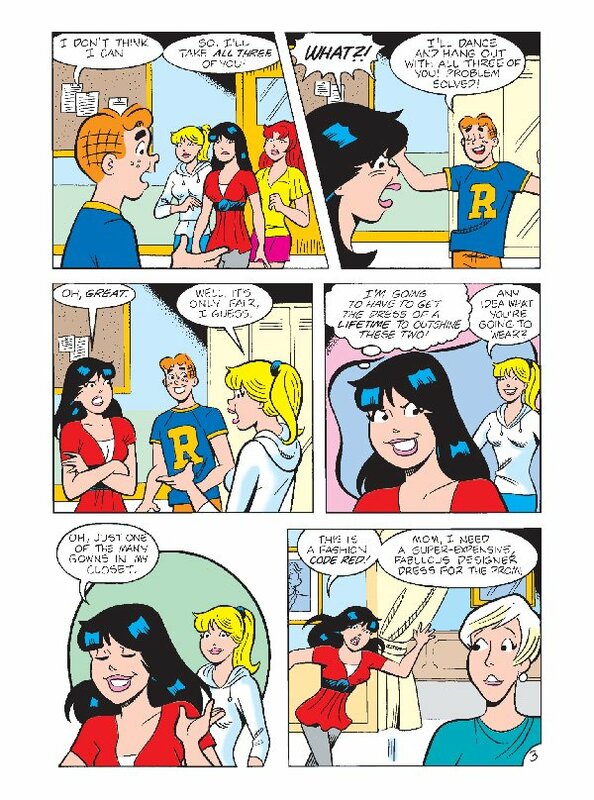 It’s time for Archie to make one of the most important decisions in his teenage life: who should he take to prom? 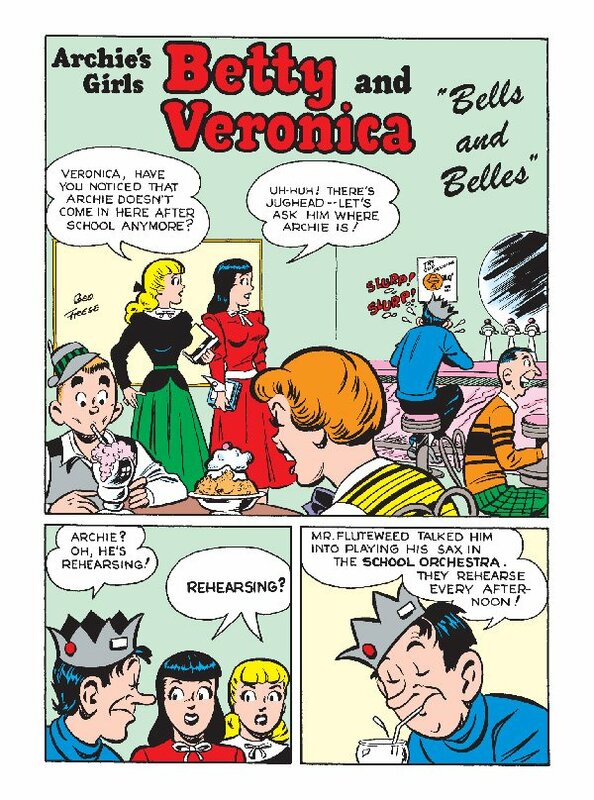 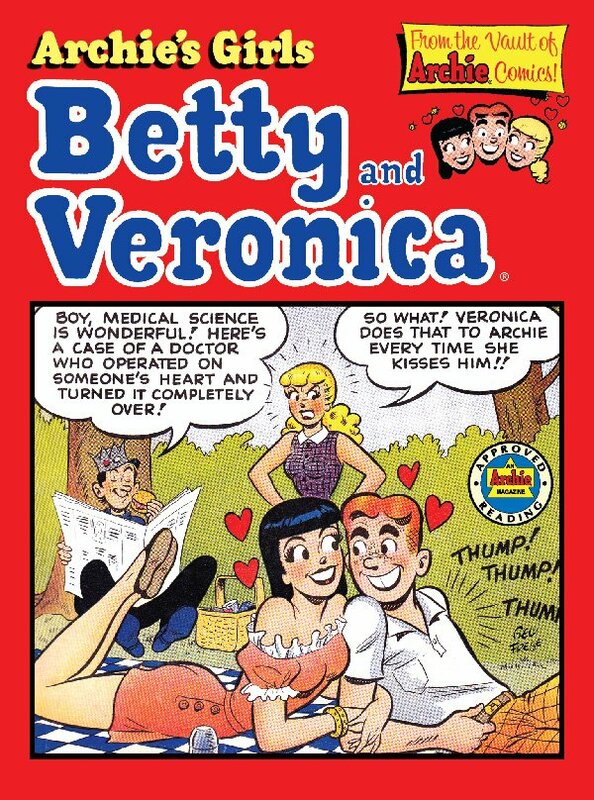 With Betty, Veronica AND Cheryl Blossom all clamoring to be his date, the decision won’t be an easy one! 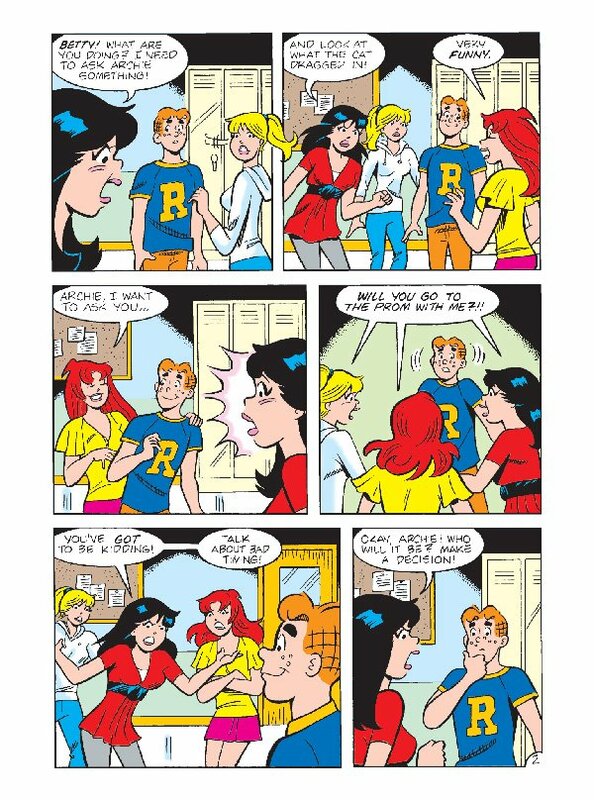 When he makes the bold choice to take all of them—all bets are off! 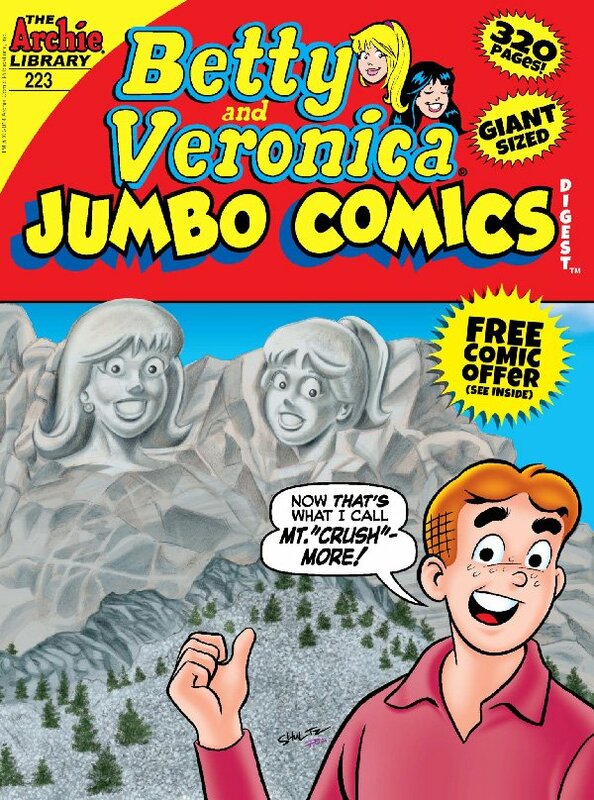 Find out who wins the “Prom Showdown,” the lead story to a fun and fashionable jumbo comics digest, featuring a fancy fifth ink cover!